Wallabies legend George Smith has been arrested in Japan for refusing to pay a taxi bill and then allegedly physically assaulting the driver. Smith is currently playing his club rugby for Tokyo-based Suntory Sungoliath who confirmed the arrest in a statement. He has 111 Wallabies caps to his name. Well it was New Years eve wasn’t it? Tokyo Metropolitan Police allege that Smith took a taxi near his house in Fuchu city just after midnight and ran away without paying the 9830 yen ($110) fare. A spokesman told the ABC that he tried to avoid paying the taxi fare just after midnight on December 31. “He tried to run but the driver caught him,” the officer told the ABC. “He demanded him to pay the [fare] and after that he assaulted him and caused an injury. The 37-year-old Smith is contracted to the Queensland Reds in Super Rugby, but he also plays with Japanese top-tier side Suntory Sungoliath during the Australian off-season. In a statement to the ABC, Suntory confirmed he had been arrested but said it had not been able to find out any more information. “We apologise from our heart to the victim and anyone affected,” a spokesperson told the ABC. “We’re also very sorry for causing concern and trouble to many people. 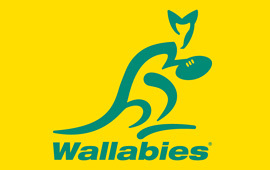 Rugby Australia released a statement saying it is monitoring the situation. “Rugby Australia is investigating reports of an incident involving George Smith in Japan,” the statement read. Suntory issued an apology to the taxi driver, but that is the Japanese way, to cause as little offence as possible to anyone.